In 2027, advances in virtual reality technology have allowed for the creation of a ‘mixed reality’, combining both reality and virtual reality. 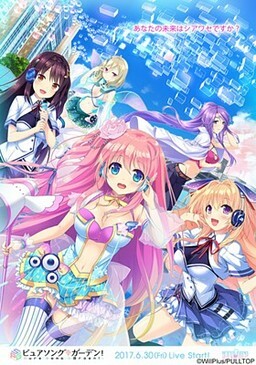 It is not uncommon to see ‘virtual idols’ performing, and the most popular one is Ai, who was created using the newest state-of-the-art VR technology. Kanata is part of the M3 (Music Mediaworks Mate) circle of music lovers, along with his self-proclaimed guardian and cohabitant Kuon, and kouhai Asuka, who is interested only in weird ‘sounds’, among others. One day, they were able to attend the huge virtual live event “Pure Song Garden” as part-time staff members thanks to the connections of Ritsu, a lady who lives in the same apartment as Kanata, and who used to take care of him when he was a child. 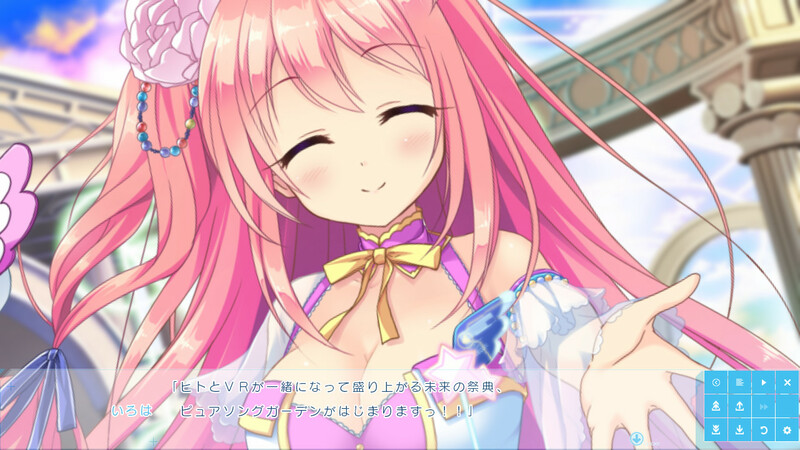 Before the event, Ritsu brought them to the stage and did a start-up test for Ai as a special demo for them, but when she appeared, something felt off. 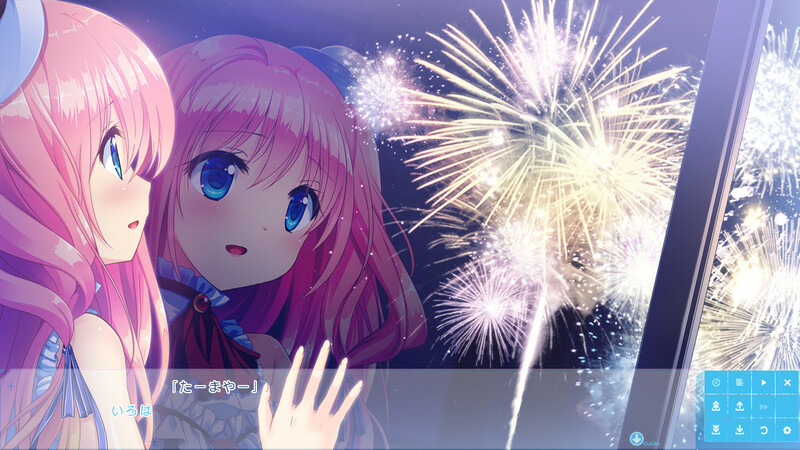 Actually, it was not Ai, but a beautiful girl Iroha who looked just like her. She said that she came from fifty years in the future for a short trip. 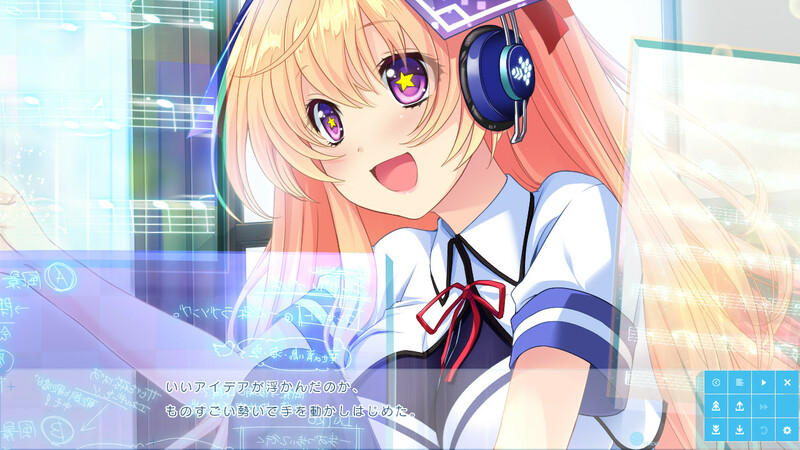 Her ‘navigator fairy’ Suzu, a girl with fairy-like wings who accompanied her, explained that only Iroha’s consciousness travelled from the future and that she was only temporarily using Ai’s virtual body. At that time, there was a great commotion on the event grounds over Ai’s sudden disappearance. Iroha will have to take over Ai’s role on stage at the live, and Ritsu and the M3 members did their best to support her. Everything was going smoothly at “Ai”‘s performance when a warning sounded and an unexpected error occurred! 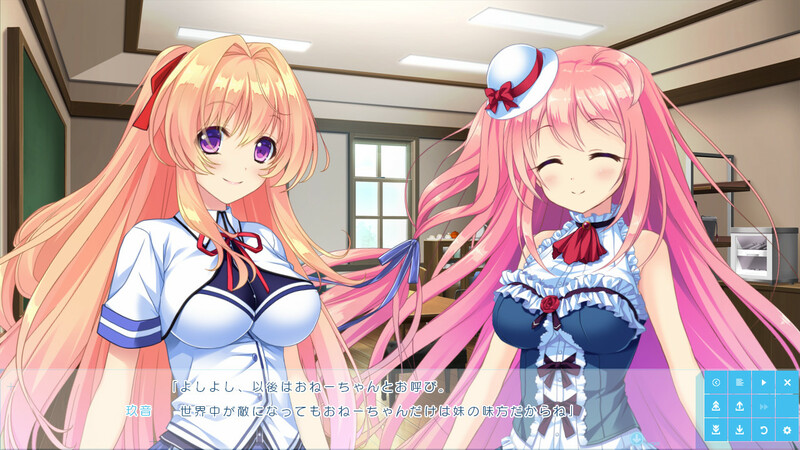 The “VR hazard” accident resulted in Iroha unable to return to the future. Hanazono Mei"Dream Tomorrow", "Song for Music"
Mishiro MakoTheme song "Love Air", "Angel Brace", "Song for Music"